With Freecycle, in a small town, sometimes what goes around comes around. 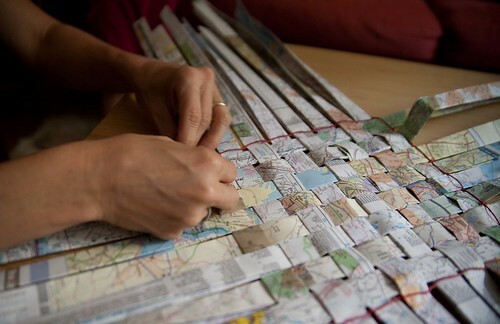 Katie emailed to tell me she got a pile of old maps from Freecycle from someone named Holly at such-and-such an address. I wonder out loud if Holly is my friend Holly. She’s one and the same, it turns out! 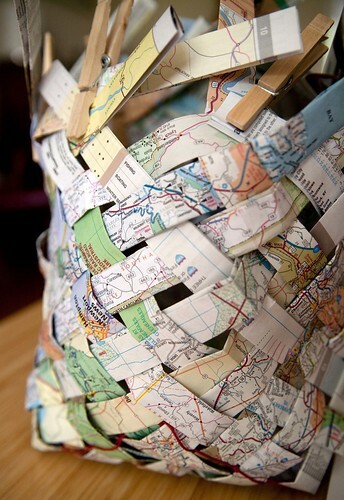 Holly doesn’t yet realize Katie and I took those old maps of hers and upcycled them into a rather cool plaited basket. We followed the instructions on Make Projects site for bias plaiting. 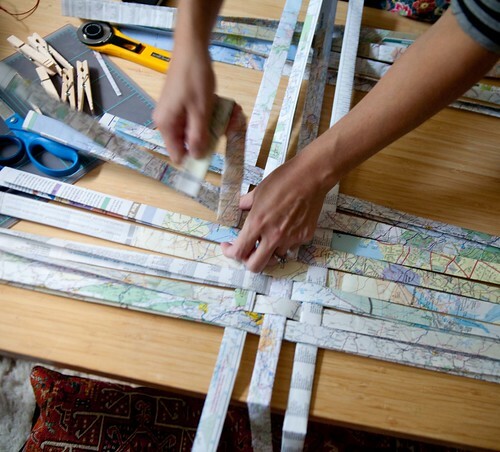 We started by cutting the maps into long strips with a rotary cutter. We folded the edges to the center and then folded the entire piece in half to make the strips thicker. We made 16 strips this way. Next, we wove the base. We used twine to mark the base of the basket. We folded down the tops and clipped the long pieces on the inside. Then, I painted over it with diluted Elmer’s glue. Ours doesn’t look as tightly woven and lists a little to one side, but that’s because we’re newbies to basket weaving. Next time, we need to make sure the plaits are even in length on all sides when we mark the base. 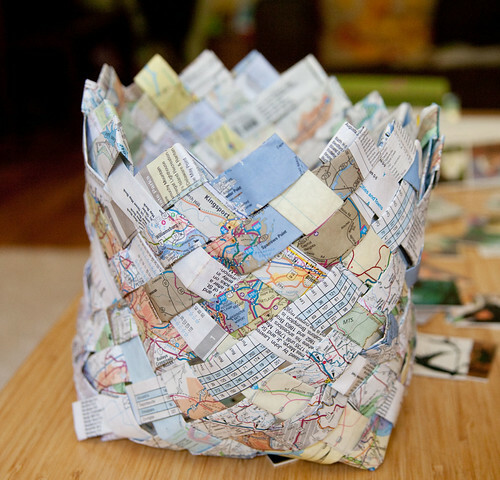 But it was a fun Sunday afternoon project and now Holly can have her old Virginia maps back if she wants. No fair Freecycling them again! I’ve been saving up coffee bags (the heavy-duty ones like Misha’s and Peet’s) thinking they must have some use, and HERE IT IS! Thanks so much for this great idea and how to. 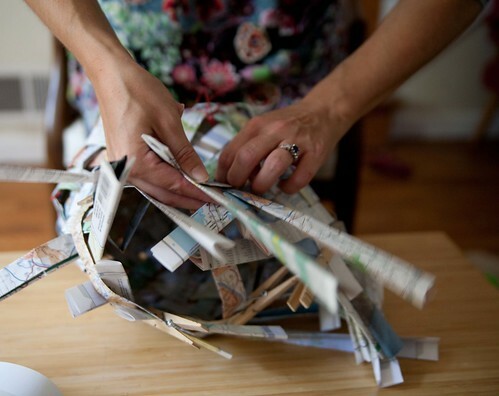 Let us know if you make anything with those bags — sounds like a great project!